To back this idea back up, making this snack/lunch/moment-of-bacon-weakness started after having dinner with my friend the other night. However, walking up to the seafood counter, I decided on the cheaper bay scallops that, yes, are smaller, but are just as good. I also surprised the men at the meat counter by asking for only two pieces of bacon. I’m pretty sure no one does that. Anyway, there is a total of four. Yes, FOUR ingredients to this dish. 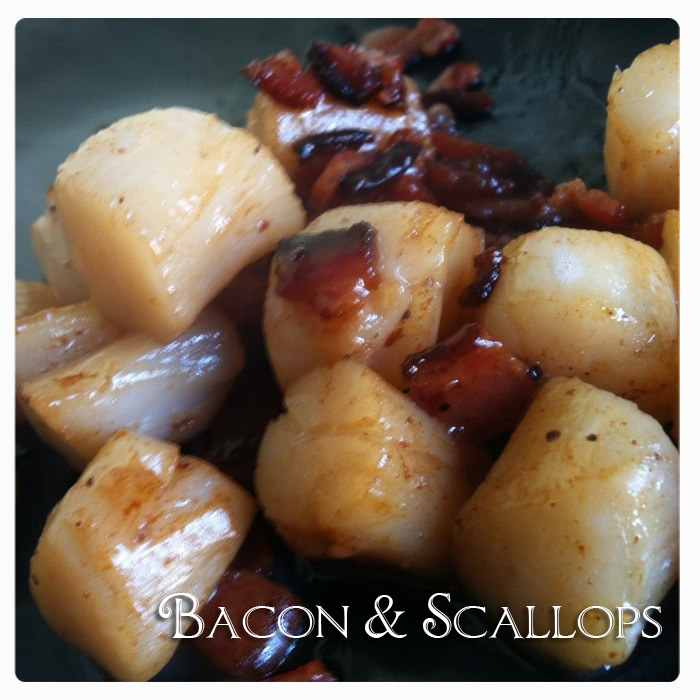 Bacon, scallops, salt, and pepper. Sometimes smothering food in sauce or seasonings is not the right path. You’ll want to cut up the bacon into small pieces, then throw them into a hot pan until they are crispy. 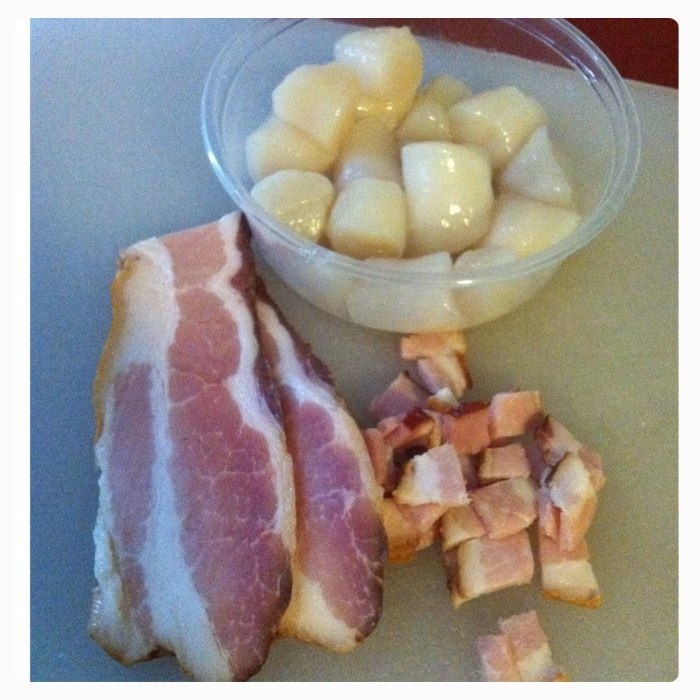 Do not pour out all the bacon grease, you’ll want some of that to cook up those scallops. 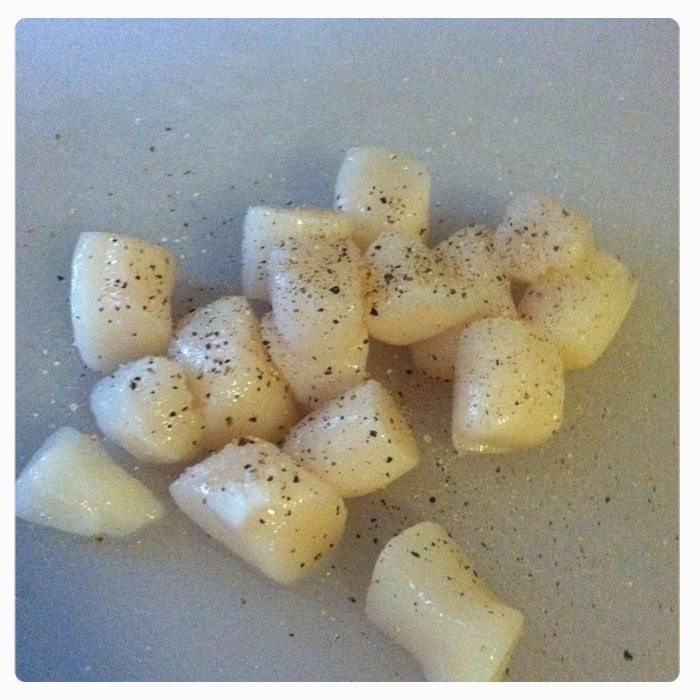 While the bacon is cooking, wash and dry the scallops, then season with salt and pepper. Then toss into the pan with the bacon and cook through. Be careful not to cook too long or they will get chewy. It will only take a few minutes. Serve up on a plate and enjoy.